David Henkes, senior principal at Technomic, revealed in a recently published article by the company that non-alcoholic beverages “…account for $1 out of every $5 consumers spend away from home.” The proof is in the pudding (or the glass in this case). But, that doesn’t mean you shouldn’t put any thought into your beverage offerings with the mindset that people will buy them no matter what. If there is one thing we want you to walk away with from this little snippet it’s to up your beverage game and stay on top of trends to keep your customers satisfied and coming back for more! It’s not just about serving up a convenient compliment to a meal these days. Consumers are looking for innovation and creativity; health and functional benefits; or an abundance of options. We’re here to discuss the cards you can play and the strategy behind them. It seems that all too often we see a restaurant that is absolutely crushing it - dishing out culminating eats and a next level dining experience - only to have a find out they have a halfhearted attempt at a bar. Just as a restaurant should revolve around the food and dining experience the same should go on the bar side of the operation. A cocktail program is the building block of your bar. And while making traditional cocktails with low quality ingredients may feel like you’re doing your due diligence, there is definitely room for improvement. Now, we know when it’s game time making dynamite craft cocktails can really slow down your bartenders and bottleneck your operation during high-volume business hours. One of the latest trends that is becoming a full-proof solution to avoid any extended ticket times at the bar, as well as enabling bartenders to spend more time with their guests is cocktails on tap. Our friends at Perlick (with the help of famed flare bartender, Tobin Ellis) are setting the bar with the Tobin Ellis Signature Craft Cocktail System. Saving you money on pour costs, extended shelf lives and consistency are just the tip of the iceberg when it comes to the benefits this system can bring to your operation. And the greatest thing about it? It’s 100% compatible with the Tobin Ellis Signature Cocktail Station! Wow, if that isn’t the most efficient super-machine right there, then what is? If you’ve stepped inside a coffee shop recently - whether it’s a corporate giant like Starbucks or your local corner beanery - there’s a very high chance some form of cold brew has found its way onto the menu and into the hearts of many. It’s the absolute hottest thing in cold coffee right now (whatever you call an oxymoron of a pun intended) with new twists and variations starting to take shape. Who would’ve thought that mixing some coffee grounds in water and letting it sit for 12+ hours would produce something so deliciously uber-caffeinated? But, wait. Things get better. Out of the cold brew coffee craze blossomed this wonderful creation they call nitro cold brew - coffee infused with nitrogen gas. Very similar to the frothiness of a Guinness stout, this infusion produces an extra smooth, silky glass of cold brew. Local coffee shops everywhere are beginning to keg their own substance of this creamy, stout-like nectar, and they’re serving it on tap! That’s right - nitro cold brew on tap. Hello, profits! Now that the ground is laid, let’s take this a little bit further circling back on the cocktail program - spicing up your drink menu with nitro cold brew cocktails. The complex flavors found in coffee can add dimensions to your cocktail. Not to mention that amazing, velvety texture that comes with nitrogen-infused cold brew! Simple, yet amazing. 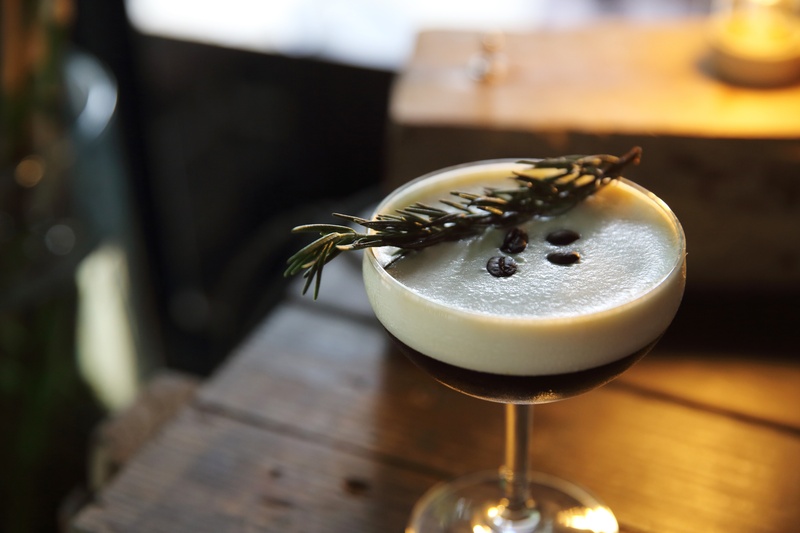 Take a page out of The Broadway’s book in South Boston: opening this past November in place of the Boston Beer Garden, they feature a Nitro Cold Brew Martini infused with vodka, Kahlua and Bailey's. And to top it off, it’s on draft…yes…on draft. Grab a top-notch wood-fired pizza and one of these delights next time you’re there - you won’t be disappointed. 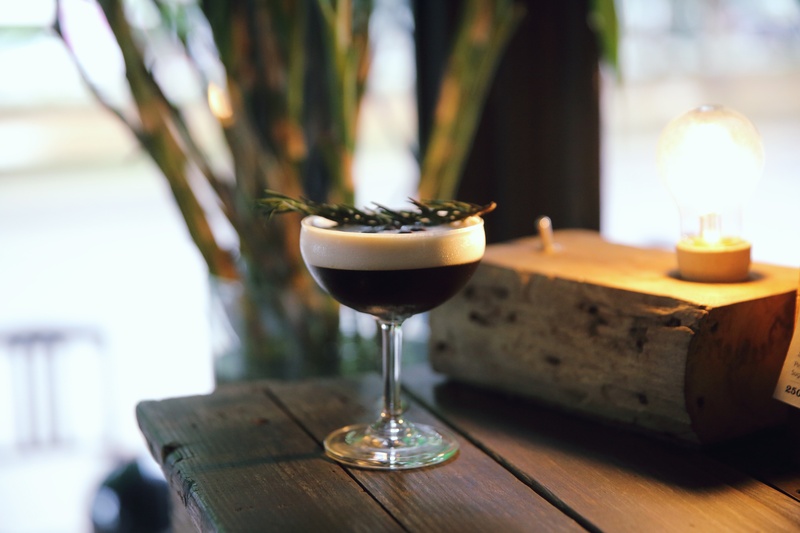 From new takes on classics, like White Russians and Old-Fashioned’s, nitro cold brew cocktails are hot right now and people are raving about them. This would be a perfect time for a seasonal nitro creation to find its way onto your drink menu during these blazing summer days. Taking a turn in the beverage mobile onto the Health-Conscious Highway, let’s talk about the major health initiative sweeping nationwide. This health wave is spreading from clean-eats shops to K-12 & university dining programs around the country. We are seeing raw vegetable plates replacing a basket of french fries and trail mixes being offered after school for students hanging around during extra curricular and sports to avoid the not-so-healthy vending machines. The health movement is taking over and a hot trend that we see making its way from health markets and juice bars and into the classroom is smoothies! Giving students a quick, on-the-go option full of the vitamins and nutrients that few meals are actually giving kids these days can be a huge benefit to your school’s dining program. To many students, an apple, banana or any fruit for that matter isn’t exactly their first go-to snack option. But, when you blend in some oranges, strawberries and kiwi you have a delicious and nutritious snack! KitchenAid Commercial has just released their new, high-powered Beverage Blender, and man, is this thing incredible when it comes to churning out some perfectly blended fruit smoothies. We were able to grab one of their wonderful product specialists at this year’s NRA Show to take us through what makes this piece of equipment a force to reckon as she whipped us up a fruit smoothie that knocked our socks off! Want more information on the topics of this blog? Contact us today!